Pigeon Forge is the perfect place to spend Valentine’s Day with your special someone! 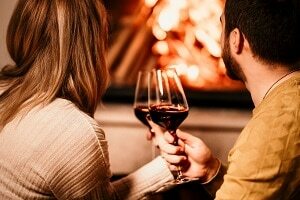 Curl up by a warm and cozy fire or tantalize your taste buds over a candlelight dinner for two- Pigeon Forge has everything to make your romantic night an absolute treat. You’ll fall in love with all the romantic things to do in Pigeon Forge on Valentine’s Day. 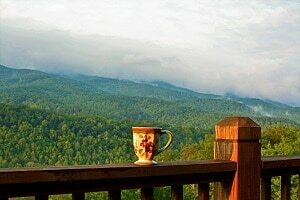 Nothing is more romantic than a special getaway for two in one of our cozy Pigeon Forge cabins. Cuddle up by a warm fire or sip a glass of wine while relaxing in the hot tub and enjoying the exceptional views of the Great Smoky Mountains. Or pamper your partner in the lap of luxury at one of our resorts. RiverStone Resort & Spa offers spa packages featuring a couples massage that will leave you stress free so you can relax and enjoy your Smoky Mountain vacation together. No matter your preference, we have the accommodations to make memories that last a lifetime. Pigeon Forge has family friendly Valentine’s Day activities that are sure to make the day even more memorable. Celebrate the holidays before the end of the season at Smoky Mountain Winterfest. If you’re looking to cut a rug, bring your dancing shoes down to The Ramsey Hotel for the annual Daddy Daughter Dance. Or if you’re looking for a romantic meal with a historic twist, it’s all aboard for the Valentine’s Dinner at Titanic Museum. Explore more events and fun things to do on Valentine’s Day in Pigeon Forge.